Be the first to share your favorite memory, photo or story of Oliver. This memorial page is dedicated for family, friends and future generations to celebrate the life of their loved one. Memorial services for Oliver Johnson Richardson, 88, of Greenville will be 11:00 AM Saturday, February 16th, 2019 at South Main Church of Christ, 1700 South Main Street, Greenville, Mississippi 38701. Oliver died Wednesday, February 6, 2019 at his residence, surrounded by family. He was born September 4, 1930 in Doddsville, the son of John Thomas Richardson and Lily Oliver Richardson. He grew up in Ruleville. 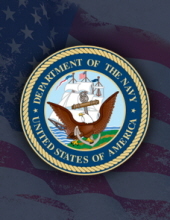 He registered for the United States Navy in Greenville, and was honorably discharged in Portsmouth, VA; and retired as United States Navy Veteran. He was also a member of the South Main Church of Christ. He is preceded in death by his parents; two sons, Robert Allan Richardson and William Oliver Richardson; three brothers; and 7 Sisters. He is survived by his wife, Sarah Richardson; daughter, Dianne Owney and her husband Donald of Biloxi; three grandchildren; and several great grandchildren. To plant a tree in memory of Oliver Johnson Richardson, please visit our Tribute Store. "Email Address" would like to share the life celebration of Oliver Johnson Richardson. Click on the "link" to go to share a favorite memory or leave a condolence message for the family.